I agree. My first pencils and bottle plugs were all Gibbs. I know some complain they get waterlogged, and they've introduced a more durable Pro line, but I never had a problem with them. Yes. I also adopted a spot on the Hudson River I fished and even put up signs after cleaning it. I also just moved to a house on a stream and voluntarily am keeping the quarter mile of it I can see on either side clean. Enlisted neighbors. Got approval from others on the other side to go into their backyards and clean. Emailed the police for assistance and have them patrolling more. It can be done. My theory is that if everyone just worries about their personal space...the whole world will be solved. Just get Beachmaster or RM from SOL BST here. Obtainable. Functional. Durable. Routinely see stuff $20-$35 bucks in almost every style. Anything more than $35 dollars is largely art, and not something you need to be concerned with. There are other affordable makers, and I'm sure their fan base will chime in here, but you can't go wrong BM/RM. You can fish the expensive stuff, but it's no more effective. As mentioned...go too low and your plug won't last long. Salt water surf and big fish take a toll. When you set the hook, does the drag slip? If it slips, or if you're using mono (stretch) vs. braid, you aren't driving the hooks in like you might think. You really want to crank back and nail them with that first hit. Ideally you don't feel you have to hit it again. I'll never forget learning it from my younger brother when I watched him set a hook so aggressively. Then steady pressure in. You can always still lose some. That is part of the game. If you get plastic, get one with a button in the middle that has to be activated as well. I have one like that which works fine. I think I know the AS one you had. If it opens with a just a squeeze on top and bottom it can accidentally be opened bending over. I watched a guy dump an open bag of plugs and scramble to recover them all once. No. NY. But you never know. As I look around I don't see many of these spindles. Never really thought about it before. Garnerville. Rockland County, NY Girlfriend Googled and I now also have a call in to Boston Turning works. Guy said he was so busy I should put everything from our conversation in an email and wait to hear back from him. I'm wondering if people don't do these anymore because they're extra cost, maintenance, and perhaps something that attracts lightning. The 1872 church next door is missing the pointy top that was blown off by lighting in a storm. If I catch a fish, I tend to stay a little bit in case there's another. If I don't catch a fish, I change lure and/or spot until I do catch a fish. 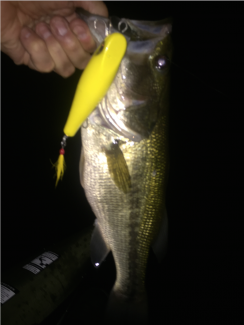 Sometimes I don't catch a fish in the new spot, with the new lure, so I either change one or both again, or go home. About to paint exterior of 1895 house we moved into in November. 3 of the 4 rooftop finials or spires are completely rotted away and down. I have one I found on the ground. The 4th is up, but rotten. I'm having a hard time finding these online in the US. I find Australia, and/or PVC ones for $250 - $300 bucks. This makes no sense to me. It's a 6x6 post a machine can crank out in numbers. I got a local wood artist telling me his lathe can only handle 3' (fine), and he can do it in Black Walnut, White Oak, or Mahogany, all of which he says won't rot in my lifetime. Current plan is to cut the spindle off flat at the peak of the roof and add a 3' spindle on top of it. Anybody got a big lathe here interested in beating this, or is this as good as it gets? My thoughts were if you have a big lathe, you down load a pattern, tell it to carve...feed another 4x4 or 6x6 in. Why is it so hard to find these or expensive to get them? One would think HomeDepot would have them for $40 bucks each. You have to post a price. Anything under $100, I’ll take it. I ran out right away as well and I think I got serial #11 or something. It was low. I never thought it was a great design for surf fishing. Specifically, I wouldn't want another lanyard to get tangled up on, or a foldable blade while out on slippery rocks. I like fixed blade, no lanyard. Always planned to keep it ask a collectable. Got tired of having it arround. Checked value on a knife forum and found zero interest. Eventually sold it mint, unused, original paperwork...with both the original faulty sheath and the free correction sheath (Early buyers got a 1" belt loop and had to request a replacement sheath with a 2" loop if they wanted it) either here or on ThEbay for at, or close to, original price. Whatever it was, I don't recall thinking I scored big at all. Someone got a good deal from me on it, but probably won't retire early with it either. Maybe if you hang on to it for another 50 years it will increase, but I'd say buy it more for a Z collector to enjoy vs. thinking you're going to make a lot of money on it.